Interior Features STUNNING 4 BEDROOM 2 BATH BUILT 2009 WITH QUALITY MATERIALS AND WORKMANSHIP INSIDE AND OUT. LARGE FAMILY ROOM WITH VAULTED CEILING LARGE COUNTRY KITCHEN WITH BUILT IN DISHWASHER, MICROWAVE, RANGE KITCHEN ALSO HAS NICE ISLAND AND PANTRY AND BEAUTIFUL GRANITE COUNTER TOPS. Additional Features and Amenities ENERGY FEATURES INCLUDE: FOAM INSULATION BLOWN IN WALLS AND ATTIC AND DOUBLE PANE WINDOWS. 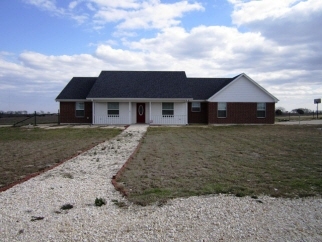 THIS HOME IS ALL ELECTRIC HOWEVER ******PRE-PLUMBED FOR GAS****** THIS PROPERTY ALSO HAS UNDERGROUND UTILITIES.